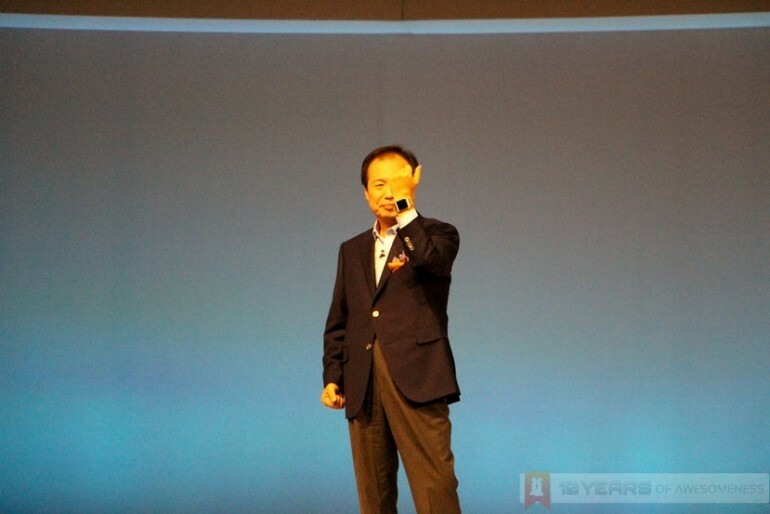 Samsung’s Unpacked Episode 2 last night saw three of its highly-anticipated devices finally unveiled, as the Galaxy Note 3 took centre stage, with the Galaxy Gear smartwatch not far behind. Surprisingly, the Galaxy Note 10.1 2014 Edition managed to sneak past the rumour mills and straight into the event halls. While the Galaxy Note 3 was, naturally, the star of the show, there was plenty of interest in Samsung’s first ever wearable device, the Galaxy Gear smartwatch. Its deep integration with a synced smartphone means there is little need to actually take your phone out of your pocket when you have your Galaxy Gear with you. It’s a cool concept, but is yet to be more than a niche market…for now. Samsung’s flagship phablet was also unveiled to much fanfare last night, and the major surprise of the Galaxy Note 3 wasn’t the fact that there was no fingerprint scanner as was rumoured, but the use of faux leather as a back cover. Now, the plastic back cover of previous Galaxy smartphones has always been a bone of contention for many, and the faux leather is likely to cause a similar response. There is little doubt, however, that the Galaxy Note 3 will still prove to be top dog in the category its previous iterations helped pioneer. Finally, there’s the refreshed Galaxy Note 10.1. Despite the rather awkwardly long name, the Galaxy Note 10.1 2014 Edition is quite a powerhouse, sporting an incredible 2560 x 1440 resolution in its 10.1-inch display. There’s also a similar Qualcomm Snapdragon 800 chipset used in the Galaxy Note 3, too. Oh, and the faux leather makes an appearance here as well. Did we also mention there’s a pink variant to the Galaxy Note 3?